Today has the distinction of being our last day on Route 66. 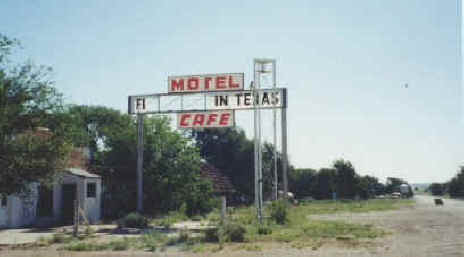 We left another good night's sleep in Tucumcari and continued our trip east. I drove 100 percent of the time on our trip out. Coming back, I let dad have the wheel more and more. I found myself in the passenger seat looking out the window at those stretches of 66 that ran alongside. I really wanted to take the entire route home along 66, but we just didn't have the time. Dad did, he's retired. But I had to get back to work. We spent a good part of today back tracking and hitting those stretches of old road that we missed, and a few places that were closed when we went out. 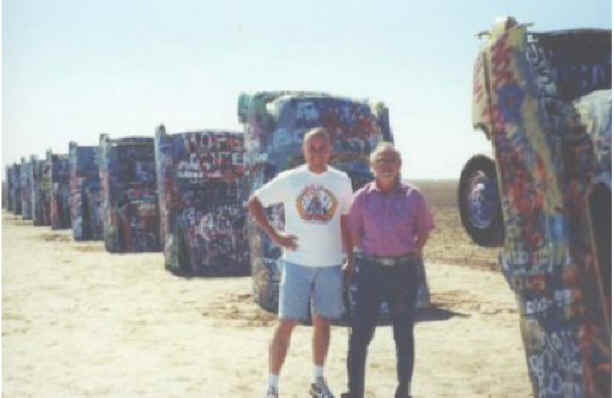 We also took a trip down to the Cadillac Ranch! I really longed for the road thru Texas and Oklahoma, as for many miles the Mother Road ran right next to the Interstate. Every so often we got off the Interstate to hit the REAL road! Somewhere in Oklahoma, we left 66 and continued on Interstate 40. Our night concluded at some motel in some nameless town in Arkansas. Day 11. Trip Journal, final entry. The last day of our trip was a long one. Twenty two hours on the road. We left Arkansas, and headed towards Tennessee. I had hoped to be able to stop at Graceland and Sun Studios, but when we rolled thru Memphis, it was around evening rush hour and pouring down rain. Our trip continued for another twelve hours in Tennessee. Man, it's a long state! In Virginia, we got off the Interstate and took a US Route. Better than the Interstate, but it sure wasn't Route 66! We got home about 3 in the morning. I've longed for the road ever since. After Cindy and I spent our honeymoon in Arizona, we fell in love with the place. We hope to retire there one day. After my journey across the REAL America, I fell in love with that place too. Maybe when I'm retired, we can find a good deal on a little roadside motel, say, somewhere along the old road in Arizona. If you've made it this far, I want to thank you for riding along with my Dad and I. I hope you enjoyed our trip. I would encourage you to pack your bags and hit the road too! It will give you a lifetime of memories, I promise! Join the Route 66 Mailing List! It's completely FREE to join, and FREE to use! You can find information on how to travel 66, events, collectibles, road trip stories and more! 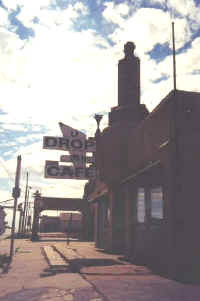 Basically anything and everything on Route 66 can be found there. Also, ride along on my other trips on 66. You can also find tons of pictures of 66 from 1991, 1998, 1999 and 2000! Now, go get YOUR kicks on ROUTE 66!